You can have a try Leawo Tunes Cleaner. Just follow below steps. If you still have issues or have a massive music library in iTunes or other music folders that requires a more powerful and less time-consuming option, the third-party software like Leawo Tunes Cleaner can help you. It can not only automatically clean up duplicate songs in iTunes, but also automatically delete duplicate songs in other music folders. If you want to automatically remove duplicates in iTunes, the automatic duplicate remover might have the answer for you. 1. After kicking off Leawo Tunes Cleaner, click the "Clean-up Duplicate" entry. The program provides 2 duplicate scanning modes: Quick Scan mode and Deep Scan mode. Select one of them to scan duplicate songs. 2. 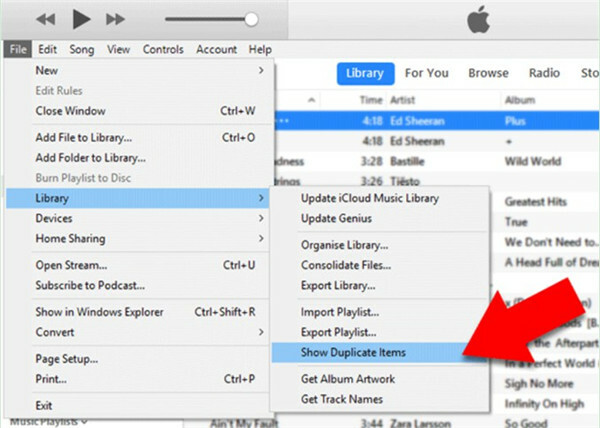 You could delete duplicates in iTunes music library by directly clicking "Scan iTunes" button or click "Add" button to load music files for duplicates removing. 3. After loading source music files, click the "Scan" button on the upper-right corner to start scanning duplicates. The program would display all duplicates clearly and suggest what to remove. You could decide which duplicates to delete by checking them and then click the "Remove" button to remove duplicate songs. I have no idea how to delete duplicate songs from my sansa 280e. Hi guys. Bought my fridge a year back. Defy dff437... This morning woke up. Freezer side is not freezing. Ice is melted. Yesteday made a louder sound than normal when the cooling fan kicked on... It is showing me error message nr 8... But nowhere in the manual is the error messages explained... Can anyone help? I am in the diamond league and when I play the tournament the next day when the tournament is over it says I am not in the league and I loose my coins based on my ranking. This has happened twice noe. Are you signing in?what console are you on? Why does iTunes Duplicate Songs When Importing The issue that iTunes duplicates songs when importing is quite common and many users are not clear on the reasons for it. In order to clear up this confusion for iTunes users, here are some main causes of this trouble. 1. When you find your iTunes duplicates songs when importing to the library, it may result from improper settings of your program. You may have checked the options of "Keep iTunes media folder organized" and "Copy files to iTunes Media folder when adding to library". Thus, iTunes will repeatedly import a folder that is outside that iTunes Media folder into the library. 2. If the folder you add to iTunes library already has several duplicated songs, iTunes will import in all of them. Thus, you will find them duplicated in iTunes library. 3. If the songs you add to iTunes are untagged, iTunes will organize them all into "Unknown Artist/Unknown Album" and set the music name to "Filename". You will be unable to identify the song you need, for their name are almost the same. 4. iTunes does not have the feature to monitor your media folders when you import songs to the library. It just has trouble in detecting what is already on the library. This is one disadvantage of using iTunes itself to import songs. Apart from avoiding duplicates before and in the process of importing, you can also use iTunes to remove duplicates after the importing. This aim can be achieved simply with the following steps. 1. Run iTunes on your computer and then click on "File" menu in the toolbar. Then you need to hit on "Library> Show Duplicate Items" in order. 2. You will see a list of all duplicates displayed in the right part of the iTunes screen. You can then click on a track or hold down the "Ctrl" key while hitting on multiple tracks to choose them. 3. 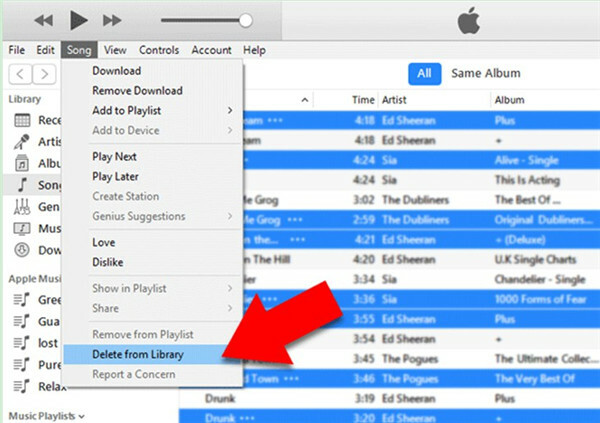 When you have selected the items, you can click on "Song> Delete from Library" to remove the songs you have selected. The duplicated songs will disappear immediately from the iTunes interface. Thus, your iTunes library will be much clearer. You should know that iTunes sometimes can confuse different mixes and slight variations shown in different albums. Therefore, you'd better make sure what you are removing is actually a duplicated and not a remix or version from a different album. Need primer parts and all accessories for homelite 200 classic chainsaw. How do I hook up a game console that has white and yellow RCA plugs and my Seiki TV does not have a yellow(video) port? How do I delete duplicate songs from my e280 song list?